Arsenal claimed a spirited 1-1 draw against Liverpool at the Emirates and prolonged their unbeaten streak to 14 in all competitions, although Unai Emery is hungry for his rejuvenated set-up to strive for ‘more’ in the weeks to come. The Gunners are far from the finished article but have brandished a set of primed, gleaming teeth under the Spaniard’s calculative command, and in relation to the north-Londoners’ quest for a top 4 finish, sharing the spoils with Jurgen Klopp’s Reds is a bold sign of intent and tenacity. Following James Milner’s 61st minute opener, Liverpool pressed, hurried, and tampered but the former Paris-Saint Germain boss’ outfit stood firm and registered an expertly dispatched reply through Alexandre Lacazette in the 82nd minute. Speaking to the media (via Daily Star), Emery expressed his respect for Klopp’s contingent and even tipped them as a genuine contender for the 2018-19 Premier League title. But as his squad valiantly fought back to restrain the Merseysiders, Arsenal’s innovative manager also urged his men to become just as ruthless and efficient as Saturday evening’s table-topping visitors. “If you enjoy it as a spectacle then it is good!” he said. “For our result this point is not enough but Liverpool is a very good test and at the moment we are continuing to work and improve and we are nearer to this performance going forward. “In 90 minutes there are a lot of moments to control the match. It is not a bad point but we need more. Arsenal’s next domestic opponent, after their Europa League group stage fixture against Sporting CP on Thursday, is a faltering Wolverhampton Wanderers on Remembrance Sunday. Nuno Espirito Santo’s Wolves were beaten 3-2 by Tottenham Hotspur at Molineux on Saturday evening but exhibited an unwavering desire to compromise Spurs’ ill-disciplined back four. 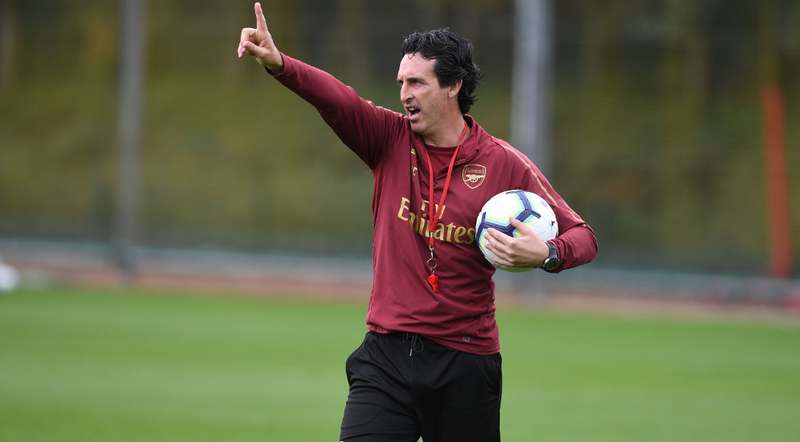 Arsenal will be wary of the challenge that the 2017-18 Championship victors pose on the counter attack, but in front of an expectant home crowd, Emery will presumably have his consistent fold brimming with courage and determination. Share the post "Unai Emery hungry for ‘more’ after spirited Liverpool draw"